Thomas is a student judge advocate in the Marine Corps. He graduated from Rutgers University in 2015 with a BA, the Elisabeth Haub School of Law in 2018 with a J.D. and 2019 with an LL.M in Environmental Law. He attended OCS in 2017 and commissioned at graduation. Thomas is slated to attend The Basic School in the Fall of 2019. 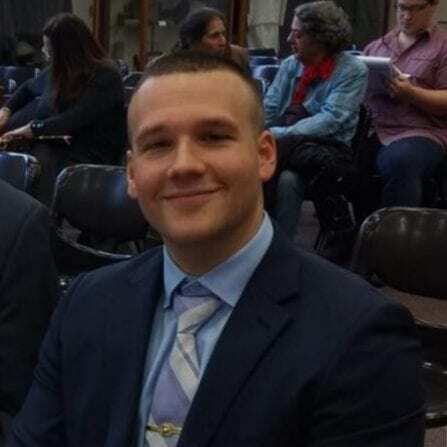 He is admitted to practice law in New York and in front of the U.S. Court of Appeals for the Armed Forces.